NeNe Leakes joins Larry to talk all things 'Real Housewives,' including whether or not she'll return full-time to the popular franchise and just how "real" the show actually is. NeNe also discusses her success as an actor — both onscreen and onstage — and dishes on her one-time 'Celebrity Apprentice' boss Donald Trump. "Being on stage brings out a whole 'nother side of me. When you're on stage and the curtains open, you have to go. There's no stop and rewind." – NeNe Leakes on acting on Broadway. "I am afraid. I would much rather go do something for the people now who have passed away, than to go and host a party in the club." – NeNe Leakes on canceling a club event next month in Orlando. "People ask me about him all the time and I always say: he's always – the person that I've known – he was always very true to who he was. That's what I liked about him. But he has spoken out now in ways that I just – I don't know who that person is." – NeNe Leakes on Donald Trump. "I've never known him when I worked with him to be a racist. But some of the things he said, I could see why one would think that. While I worked with him – we've shot together, I've been around him many a time, I've been around his children – I've never known that. I've never felt that." – NeNe Leakes on whether or not Donald Trump is a racist. "I've always liked Hillary. I liked her husband a lot. Of course I've always liked her husband." – NeNe Leakes on Hillary Clinton. "I don't want to say who I'm supporting because I feel like when you talk about finances and you talk political, it always starts a lot of drama. I'm always a voter and I always encourage everyone to go out in vote. It doesn't matter who you vote for, just vote." 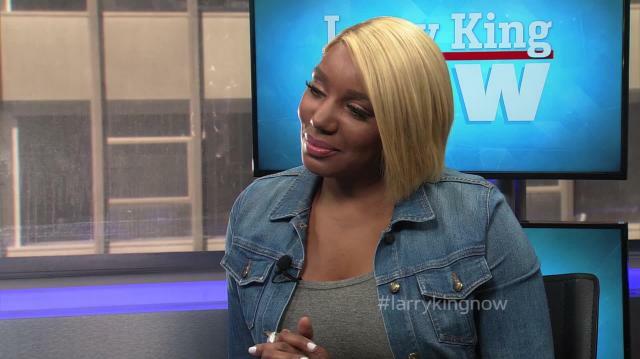 – NeNe Leakes on who she's voting for. "I love Atlanta. Atlanta for me is my home and is peace. Although I work in Los Angeles and New York City, Atlanta is peace." – NeNe Leakes on why she still lives in Atlanta. "The drama is real... no one says 'mix it up with her' but I would have to say the producers do have a hand in kind of pushing the envelope a little bit. I don't think some of the things would possibly happen if the producers weren't in there making more things happen." – NeNe Leakes on whether or not the ‘Real Housewives of Atlanta’ drama is fabricated.